1995 — Necessity is the mother of invention…Lasso’s 1st father, Vince Bofanti, creates his own template-based CGI to publish a FileMaker Pro database on the web. The name Lasso was originally the codename for the project, chosen because it was being built on a lanuage called Frontier which had a cowboy motif. 1996 — BlueWorld and Lasso 1.0’s ease of use, simplicity and speed allows it to quickly overtake its competition as the Mac-based developer’s application of choice. 1996 — Lasso 1.1 increases its level of security and introduces support for serving images directly from FileMaker Pro and triggering FileMaker’s ScriptMaker scripts. 1997 — Lasso 2.0 is released with a wide variety of improvements, including a nod to beginning developers that allowed the publishing of FileMaker Pro databases without the need to code custom scripts. 1998 — Lasso 3.0 is released July of 1998 and Lasso goes on to build its reputation as the go-to platform for quick and easy publishing of data in the burgeoning online world. Several point updates to Lasso 3 were released through until the end of 2000 that continued to build new capabilities into the core language. And where is Lasso 4? It was passed over. The reasons are lost in the mists of time. 2002 — Lasso 5 is released, heralding a significant step-change in the programming landscape. A long list of developments and improvements raise the bar on how developers could deliver and deploy solutions. 2003 — Lasso 6 extends the ability of the application to manipulate images and create PDFs, a highly desirable feature of the day. 2004 — The Lasso product line is sold to OmniPilot, A Florida-based agency. 2004 — OmniPilot moves quickly, releasing updates to Lasso 7 in quick succession to prepare the development community for Lasso 8, released in December that year which once again increased functionality and made it even easier to publish data to the web. 2005 — Lasso 8.1 was released and would stand for almost a year while several point versions were developed and passed over in favour of the build the next meaningful release. 2006 — Lasso 8.5 debuts, including full AJAX integration, improved SQL connectors and the ability to pass OS-level commands directly to the underlying operating system. 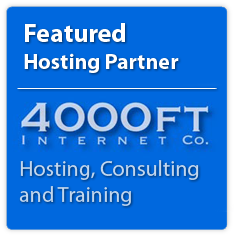 2007 — LassoSoft, LLC is formed by three Lasso stalwarts and acquires the Lasso product line from OmniPilot. The team continues to deliver point updates to Lasso 8.5 through to 2008. 2010 — The official release of the complete code rewrite - and new Lasso flagship product Lasso 9. 2010 — LassoSoft, Inc. Canada, in partnership with long-time Lasso user and supporter Treefrog Interactive, is formed expressly for the purpose of acquiring the code and IP and continuing to develop the Lasso product line. 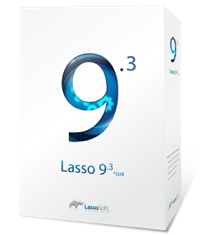 2011 — The new LassoSoft Inc delivers two main releases in it's first year - Lasso 8.6 and 9.1. 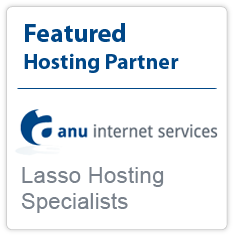 These stabilised the Lasso Professional 8 platform and added new instance management functionality to Lasso Server 9. Quickfire updates prove the new LassoSofts responsiveness to client needs. 2012 — Lasso 9.2 is released in May at the Lasso Developer Conference in Toronto, along with the LassoLab Eclipse based IDE. 2015 — Lasso 9.3 is released in January with the largest number of new features included such as integration for Mongo and Mustache templating. For a complete list of historical point releases, please view the archive list.